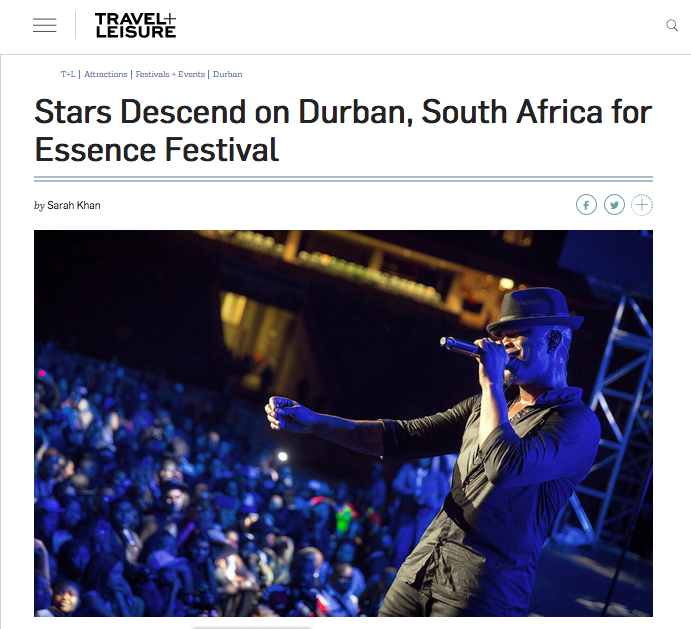 I flew to Durban, South Africa, last weekend to cover the first-ever Essence Festival in Durban, a sister event to the wildly popular annual Essence Festival in New Orleans. It was a huge affair, taking over the International Convention Centre as well as the Moses Mabidha Stadium for a weekend of talks and performances by the likes of Ne-Yo, Steve Harvey, Estelle, Shaun T, and more. I wrote two stories for Travel + Leisure about the inaugural festival: an overview of the event, as well as a Q&A with superstar South African producer and DJ Black Coffee, whose fans include the likes of Diddy and Alicia Keys.